Grundfos India, one of the leading manufacturers of energy-efficient pumps, announced the launch of its new range of Hydro MPC pumps with the IE5 Motor. 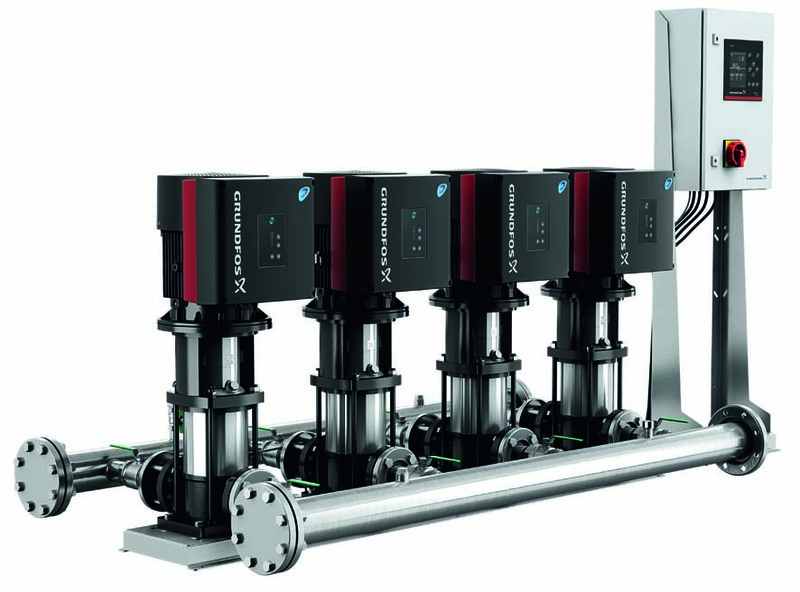 The Grundfos Hydro MPC booster systems are of very high standards and combining this with the IE5 motor, which is integrated with a frequency converter, connects the accumulated pump experience of Grundfos into the dedicated control software. This combination of pump and customizable software optimizes your system’s performance for any load point, delivering an unsurpassed reduction of energy consumption. As an industry pioneer, Grundfos is excited to introduce the IE5 Motor, which helps in energy conservation of up to 7 per cent and a reduction in the payback time of these controlled pumps. Assuring an unprecedented level of performance, the Hydro MPC motor is unparalleled with its state-of-the-art intelligent components. The Hydro MPC pumps with IE5 Motors will be available with systems that are pre-configured from the factory with variety of pump sizes to increase water boosting. Commenting on this launch, Mr. G. Ganga Prasad, Vice President – Sales (South), Grundfos India, said: “In every high performing building there is a high performing pump. But pumps are only part of the story. Intelligent & integrated solutions allow you to take control of your entire system to achieve an even higher performing building. With intelligent pumps, design and high efficiency IE5 motors, Grundfos is raising the bar to ensure exactly this”.